For several decades, the University of Calgary, Canada, housed an otherwise community-based service for people with dual diagnoses: developmental delay, plus a behavioural disorder. The mandate of "The Behaviour Support Team" was to support clients who were transitioning from institutions into community living. The Team was for many years considered the agency of last resort. Virtually all people who were receiving service were diagnosed with a mental health disorder, along with a second disabling condition; for example, visual impairment, brain injury, genetic skin disorders, deafness (not always considered a disability) and many others, coupled with an intellectual challenge. As practitioners, we were expected to offer support groups along with individual counselling as well as outreach support. Drama groups were a hit, and this book tells the evolutionary story of the ultimate development of a theatre company, mandated to tell the stories, and to provide the thrilling opportunity for its "actors" to experience the spotlight! This book, complete with scripts, takes a political stance, which is not always easy for some readers to accept. Herein lays some of its appeal as the narrative, at times, challenges the rehabilitation and theatre communities. This fact, coupled with the reality that the artistic director has a disability of her own, makes for an interesting, if not edgy, yet educational read. 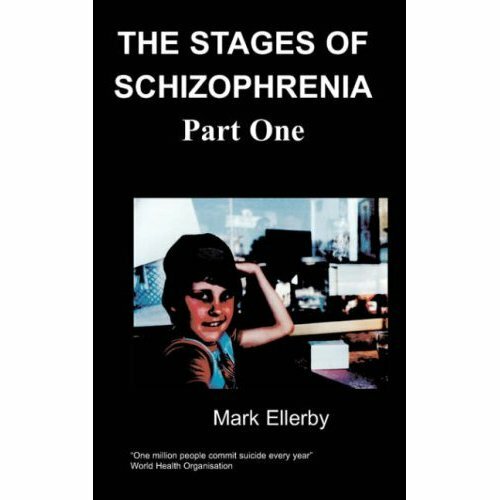 The book provides theoretic considerations, which are often contradictory, but virtually always controversial where mental health is concerned. Theoretic considerations are contrasted and compared to feminism, shamanism (depicted by turtle on the book cover; more specifically trickster, depicted by coyote), and trends in rehabilitation within a Canadian context. The final draft of the book goes on to include some American context provided by my theatre colleague Leslie Fanelli, who began similar work within the disability theatre movement on the other side of the continent, decades before we had the pleasure of meeting. The reader will also find practical application and instruction for the development of three levels of theatre experience for acting enthusiasts. In essence the stories gleaned from the chapters and accompanying scripts, speak of our inherent right to creative expression, one which is often denied those who are differently able. Ruth Bieber holds a Master’s degree in Education, from the University of Calgary, with a specialization in Rehabilitation and Theatre. Prior to obtaining this degree, her professional focus was as a Counselling Therapist, working with clients with disabilities; often more than a single disability. This work challenged Ruth to ever discover more effective therapeutic modalities. To this end, she shifted from traditional, verbal approaches, to the power offered by the arts. In the early 1990s, she founded InsideOut Theatre, which was a reflection of her own evolution from therapy to theatre; from the therapeutic arts, to the power of performance for people with a wide range of mixed abilities. Ms Bieber was the Artistic Director of this ground breaking, integrated theatre company for seventeen years. During this time she spoke and performed at conferences and festivals, both nationally and internationally, including the High Beam Festival in Adelaide, Australia (2000) and the Learned Conference in Newfoundland (1998). Her publications also reflect the evolutionary nature of this process. Currently she is co-editing a book which features artists with disabilities in North America and the UK. Recently, Ms Bieber has begun exploration in her new passion of the visual arts. While she continues her various artistic endeavours as a freelance writer and theatre artist, she is now developing gallery appreciation programs for people who are visually impaired in the Okanagan Valley. The tours are modeled after the “Art Beyond Sight” program in New York City. She has also begun painting, and is scheduled to host an exhibit of works by blind artists in the fall of 2012. Ruth has received numerous awards for her specialized work including YWCA/Global T.V. Woman of Vision (2004) and The Euclid Harry award for Leadership (2006). She is the proud mother of two adult sons; Erik and Martin. She divides her time between Canada and New York, where she is writing and promoting her plays; two of which have received readings in both locations. Ms Bieber was born September 11, 1956, in Alberta, Canada. Leslie Fanelli is the Artistic Director/founder of Theatre in Motion, which features creative and performing artists with and without disabilities, serving inclusive populations through participatory theatre workshops and performances. She is a Disability Rights activist via The Arts, as well as mom, playwright, author, director, educator, lyricist, actor, singer, and proud person with disabilities. She is a proponent of Howard Gardner’s Theory of Multiple Intelligences (MI) and bases all Theatre in Motion programs on MI because it artfully benefits everyone, most significantly populations with disabilities. She has conducted “Theatre and Multiple Intelligences” workshops for Metropolitan New York City populations with and without disabilities, plus, populations from South Africa and The Netherlands, as well as for the VSA Festival in Washington, D. C., the International Organization on Arts and Disabilities. She has produced original cast recordings of three of her musical plays. Legendary Disability Rights activist Judith Heumann wrote the following about the soundtrack of Disability Pride: “Beautiful music and history sung by disabled activists. This will be a wonderful addition to the disability studies movement. A great gift for anyone who likes good music.” Leslie was born in Cincinnati, Ohio, in the USA on May 27, 1957. My name is Ruth Bieber, and I am the Artistic Director and Founder of the plucky, irreverent, non-traditional InsideOut Theatre in Calgary, Alberta in Canada. Since the early 1990s, my mission has involved Disability Theatre and Feminism. There is much to tell about my curvilinear journey through the evolution of my theatre company, but first, I must share a few pertinent details about myself. I was not always Ruth Bieber. That is, I was for the first twenty-three years of my life, before I became Ruth Bieber-Something. I recall with clarity that mind numbing process of trying to decide what my married name should be. “Should I keep my maiden name, should I take my husband’s surname, add a middle name, or should I go wild and make up a whole new name?” - a conundrum rarely experienced by men. The effort of coming to a decision, eventually made me realize that the drama surrounding being -“Something” was really, as the Bard would say “much ado about nothing.” I might better have spent my mental energy on the important aspects of my new life: identity, finances, employment, education, and how married life could (and would) impact these critical parts of my world. More than eighteen years later, I am Ruth Bieber again. So I ask myself: Why do women journey to find themselves, only to lose themselves when they become romantically involved. And, when that idea fails, once again embark on an arduous journey toward self-discovery? The great irony about this self-discovery is that it is familiar and authentic; the battle scars notwithstanding. Some choose to enter the cycle again. The jury is still out on me. I suspect, however, that I shall die at a ripe old age, and my name will still be Ruth Bieber. I am, at this moment, holding to that. Don’t get me wrong; those eighteen years were valuable. In fact, the years from 1983 – 1992 were particularly fruitful; during those years, I gave birth to two sons, worked full-time, and got my Master of Education degree specializing in Theatre and Disability. Those of you who have a similar chapter in your history know how much work is involved with that particular trio of events. But wait. There is something else. Something that I don’t always think about, something that many of my friends and working colleagues say they forget, and something that people, who meet me for the first time, say that they don’t realise. Oh yes, that’s right, now I remember. I am blind. 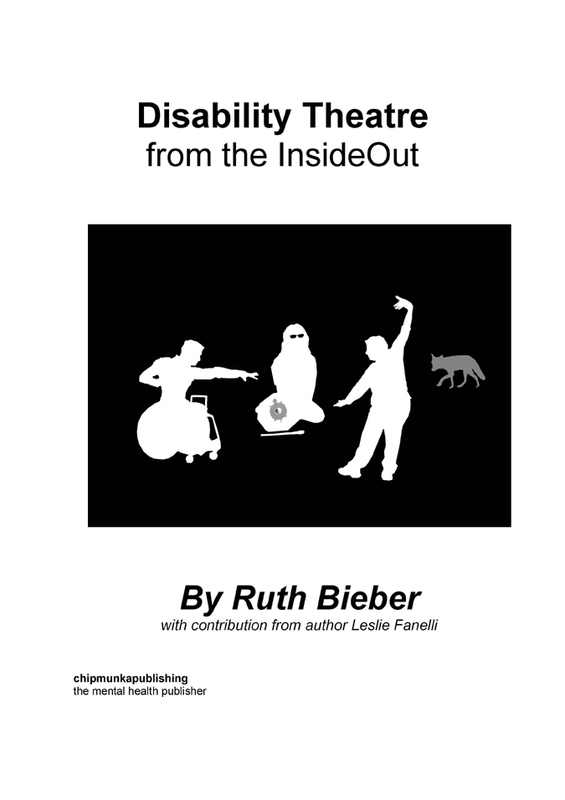 My name is Ruth Bieber, I am the Artistic Director and Founder of the InsideOut Theatre Company, and I am blind. I have found that this last revelation, met at first with a brief moment of amazement, is often followed by remarks which dismiss or minimize my accomplishments. Some even go on to dismiss me as a human being. I hear it in the comments that they make: “Your husband must really be a good housekeeper.” Seriously? Or, “I’ll bet your professors gave you lots of breaks.” Sure, ever heard of “B” for blind? One of my favourites is, “Your children must really take care of you.” Of course, don’t all children ultimately raise their parents? Philosophy aside, make no mistake about it – I am their mother. Just ask them. My favourite question is the inevitable: “When and how did you lose your vision?” This often causes me great dilemma because I am aware of the fact that at that moment - I am oddly, mysteriously, and unfairly representing every other blind person on earth, so I feel I should temper my response.